Milwaukee is home to dozens of young professional organizations all working to foster the next generation of leaders and innovators to make Milwaukee a better city for all. 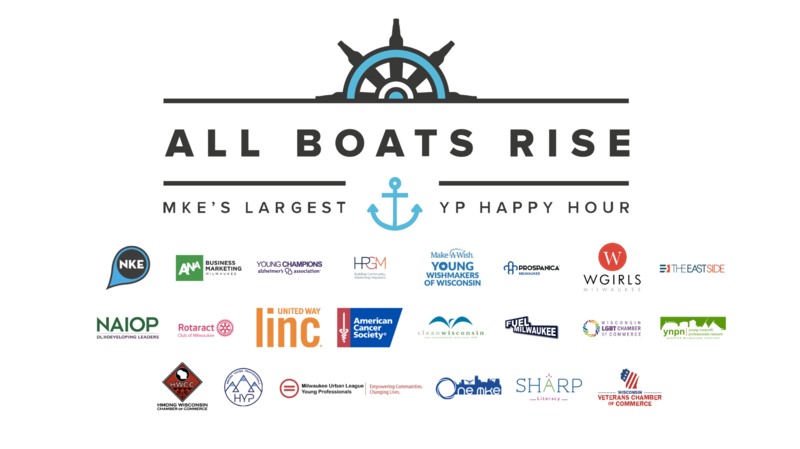 In an effort to collaborate and break down barriers, over 20 Milwaukee YP organizations are hosting simultaneous happy hour events in different locations on North Avenue for the closing party of Young Professional Week! Organizations will partner to host socials in multiple bars around North Avenue. Guests are invited to attend one of the socials or bounce around between multiple socials! All groups and attendees will converge to Landmark Lanes for one mega happy hour party!